Well it's been a busy couple of days but also a load of fun for us playing across the North Island during this past week. From Rotorua Thursday and Friday, to Snells beach Saturday, Mangawhai on Sunday then Matakana on Monday it's a true reminder of what a special country Aoteoroa is and we consider it a treat to be able to travel here doing what we love. 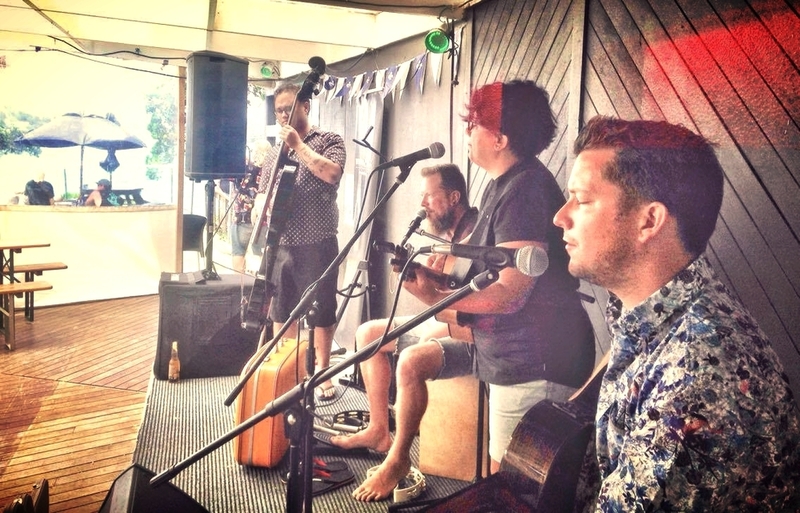 Thanks to all the wonderful venues and hosts that looked after us along the way : Ponsonby Road, The Salty Dog Inn, The Mangawhai Tavern and Plume Restaurant. Biggest thank you goes out to all the lovely, fun audiences that came out to see us play. You guys make it great fun for us.